When it comes to an estate cleanout, you never know what you could be walking into. 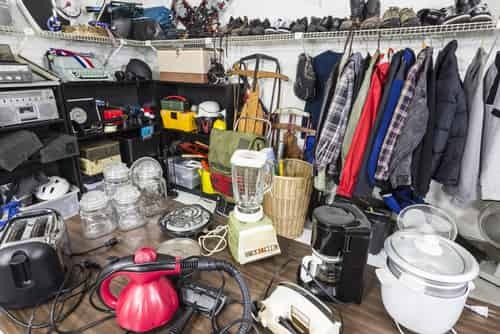 As a real estate agent or new home owner, you could have a home that is full of junk and clutter all over the house and yard. We understand what it takes to get a home back in good condition and ready for sale. We start by removing all the trash and debris on the inside and outside of the home. We collect all the junk in heavy duty trash bags and load them into our dump trucks to take to the landfill. Then we will prepare to load any items that can be donated or reclaimed as well as any broken appliances or lawn equipment that can recycled. If you have any other questions about what can be removed from an estate, give us a call at Junk Removal Queens today. Gain your property back! If you are a landlord, having a home filled with unclaimed, abandoned junk is costing you money! Allow us to come in, remove the junk, clean the property, and leave it beautiful and ready for a new family to make memories in. We take pride in our services; in addition to successfully moving each piece of junk, we ensure there will be no damages to your home in the removal process. We are mindful of your property and treat it as if it were our own! With Junk Removal Queens, you can expect a simple process, the lowest rates, and the highest quality of service. With Junk Removal Queens, we provide eco-friendly estate sale cleanout services by limiting the amount of items we take to the landfill in respect for our environment. When items such as furniture, clothes, books, lawn tools, working electronics, and small appliances are left behind in a home, our team will donate these items to local charities, recycling centers, and/or shelters rather than just throwing them away in a dumpster. Any broken appliances or metal junk that we haul away will be taken to a local recycling center where the scrap metal will be broken down properly and sorted or disposed of. Whenever Junk Removal Queens performs a janitorial service on an estate cleanout, we use green cleaning products and materials to perform a thorough, entire house sanitizing and cleaning. Call us right now for all your eco-friendly estate cleanout needs. We emphasize friendly customer service and a job well-done, every time. Our eco-friendly stance drives us to make sure your junk gets recycled or donated as much as possible. No Pressure: before you agree to any work being performed, you can receive a no-obligation estimate from our friendly staff. Eco-Friendly: our team will exhaust all efforts in donating or recycling the items out of respect for our environment. Peace of Mind: our crew is bonded, licensed, and insured. We treat your estate as if it were our own property. We take our time and do the job right the first time. Relaxation: you can relax because all of your needs, from start to finish, will be taken care of by Junk Removal Queens! Need Additional Junk Removal Services?